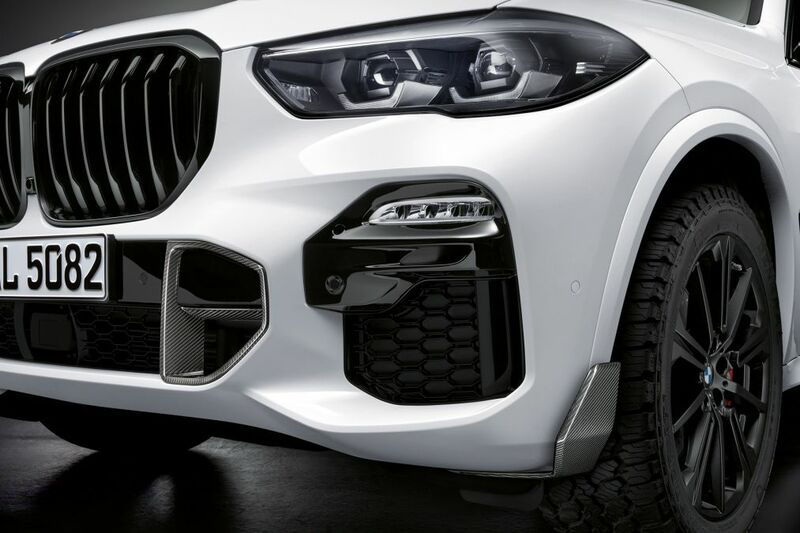 BMW has revealed a set of M Performance parts for the new X5 SUV, this being the first time that M Performance has offered both on and off-road components. 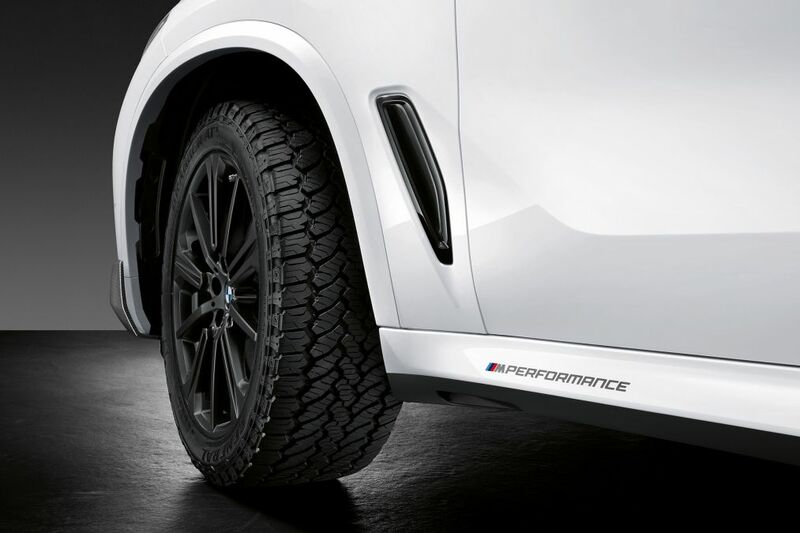 A new set of bespoke 20-inch off-road wheels are wrapped in an all-terrain tyre and finished in matt black – a first for M Performance. 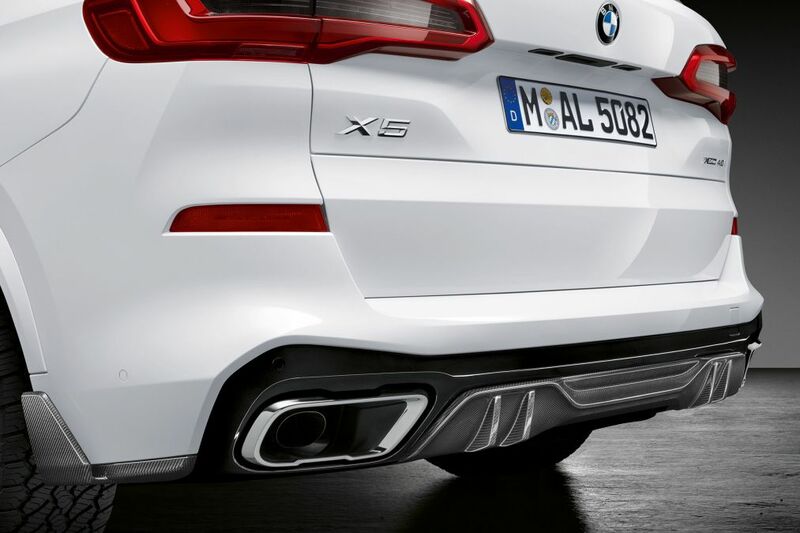 The front and rear bumpers are also available with new carbonfibre winglets close to the wheelarches, while new bumper inserts front and rear complement the deeper side skirts and new sticker pack. 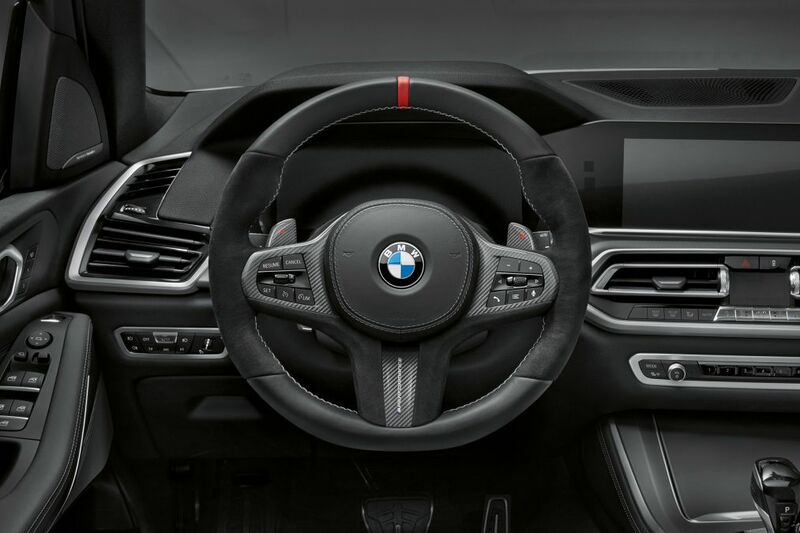 Inside, the same combination of carbonfibre trim and Alcantara on the seats and steering wheel reinforce the ‘sporty’ vibe. But a vibe is just what this is, as there are no mechanical changes (aside from those brakes), meaning that if you’re after a more than 2.1-ton hot-rod SUV, you’ll have to wait till the next X5 M arrives.